Can major infrastructure projects be completed whilst protecting important heritage structures and leave behind better local places and spaces for all to enjoy? 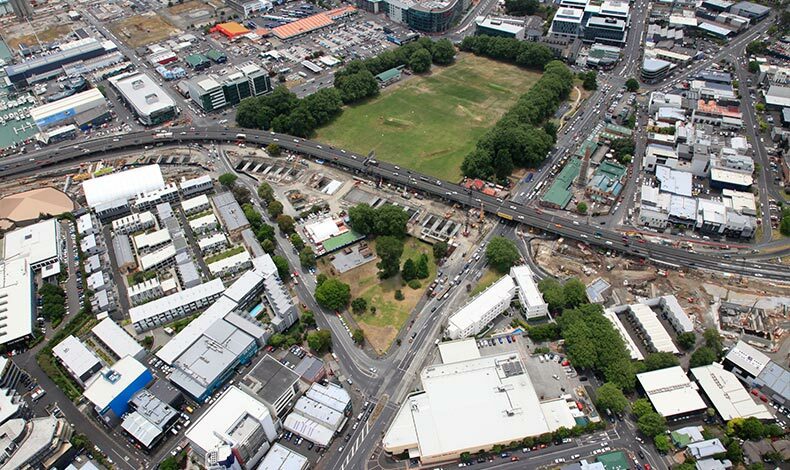 The project involved construction of a 450m cut and cover tunnel for three lanes of northbound traffic, reconfiguration of the Victoria Park flyover for four southbound lanes, and widening the motorway through St Marys Bay by one more lane in each direction. The project has also left behind better local places and spaces as a result of urban design initiatives, and has protected and restored three important heritage structures – the Rob Roy Hotel, the Campbell Free Kindergarten and the Jacobs Ladder Staircase. The urban design masterplan draws from the landscape, cultural values, history and geology on a broad scale for the VPT route and immediate context. Through consultation with Iwi, Auckland Council and the Alliance design team, a number of these concept ideas have been brought through to inform the design of motorway features. Sub-consultants for landscape & urban design. Urban design framework, masterplanning, concept design and documentation and site observation.